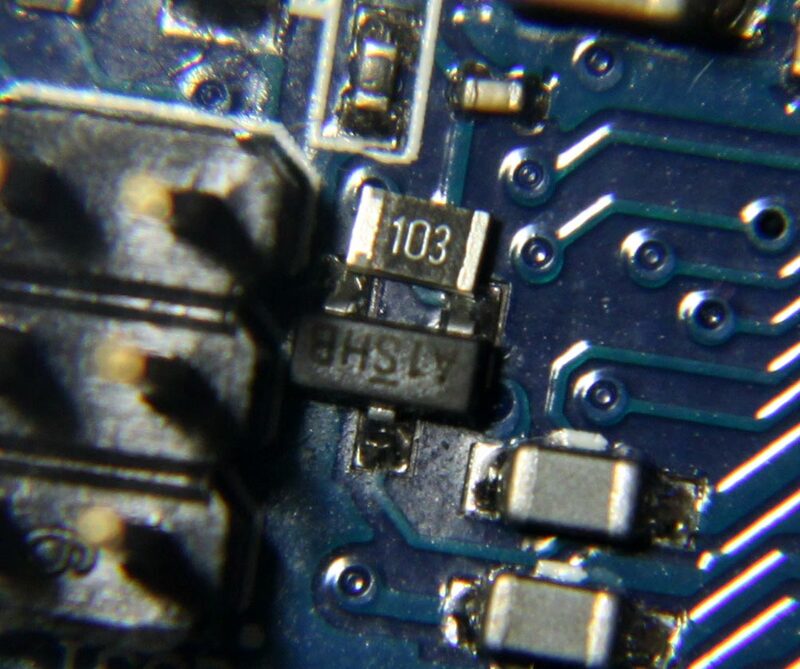 If you’ve had a lot of Arduino DUEs go through your hands (or if you are just unlucky), chances are you’ve come across at least one that does not start-up properly. The symptom is simple: you power up the Arduino but it doesn’t appear to “boot”. Your code simply doesn’t start running. You might have noticed that resetting the board (by pressing the reset button) causes the board to start-up normally. I had come across such a board a while back, and had thought to myself “cheap generic, probably faulty” and had just put it aside. At ~13€ it was no big loss. A few days ago a fellow tinkerer (thank you Alex!) alerted me to a fix for this problem. It appears that the problem was first spotted on Freetronics’ forum and was dealt with swiftly. 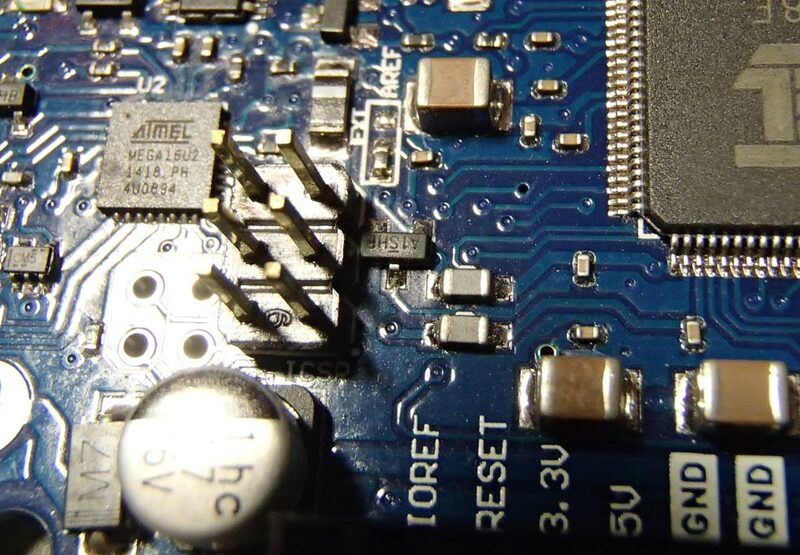 The problem occurs only on some DUE boards and is due to some undocumented behaviour of the ATSAM3X8E processor combined with the behaviour of some MOSFETS installed on the DUE boards. So its occurence is largely a matter of luck. The discovery of the problem prompted a new revision of the reference design by the Arduino team. 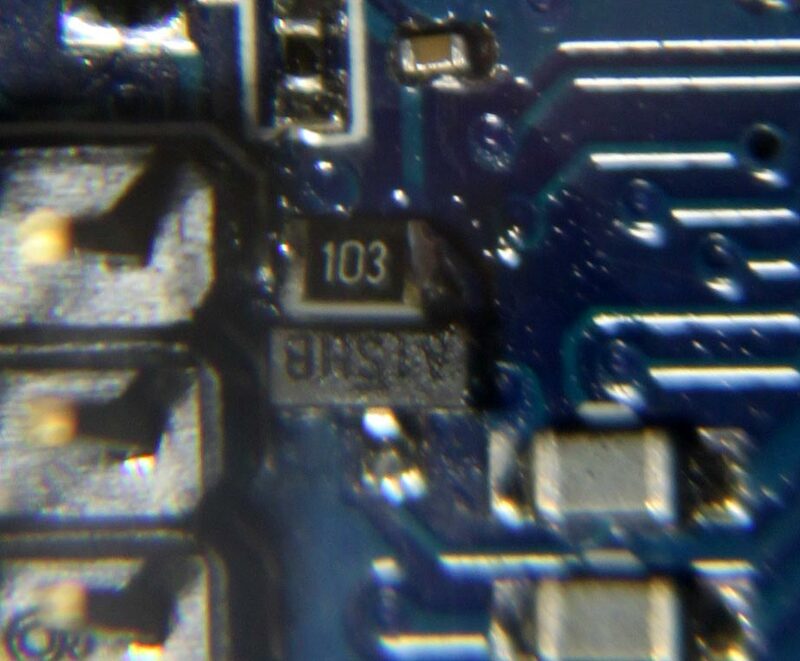 You will notice a new component, R99, plus the mosfet is now mounted vertically. So, if you are shopping for a DUE, look for one with this mosfet mounted vertically, just to be on the safe side. 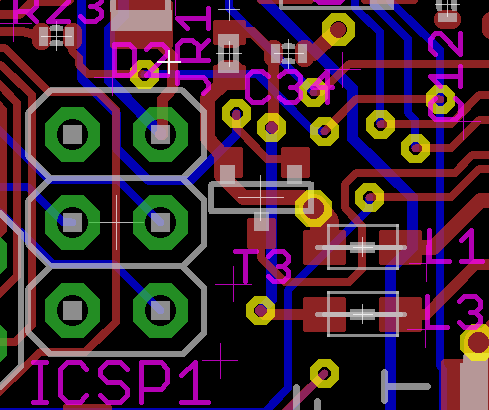 Since there has been a lot of interest in my Isolator shield these past few months, I have been optimizing its design. It’s called “the Rev. 1.2”. Nothing major has changed. 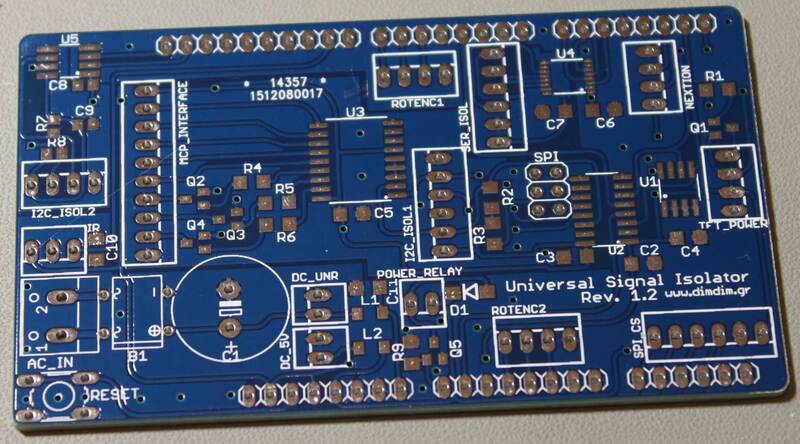 The pinouts are still the same, the major components are the same, the functionality is essentially the same. New SPI header. It just passes through the SPI signals, nothing more. 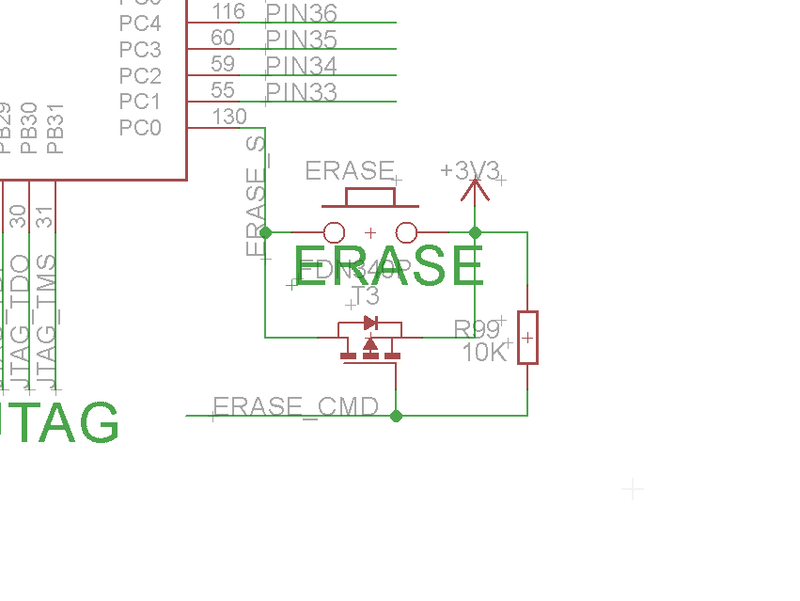 It does not connect to anything on the board. New SPI_CS header. 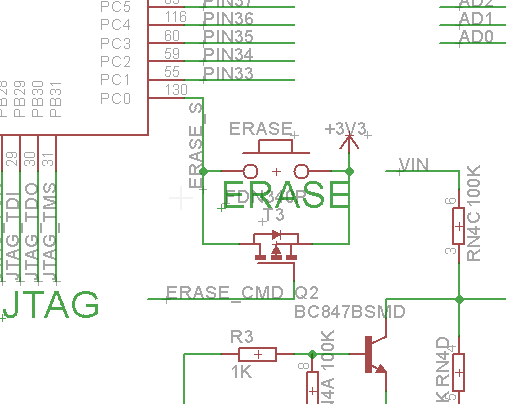 Useful only if / when connecting SPI peripherals. Reset button. 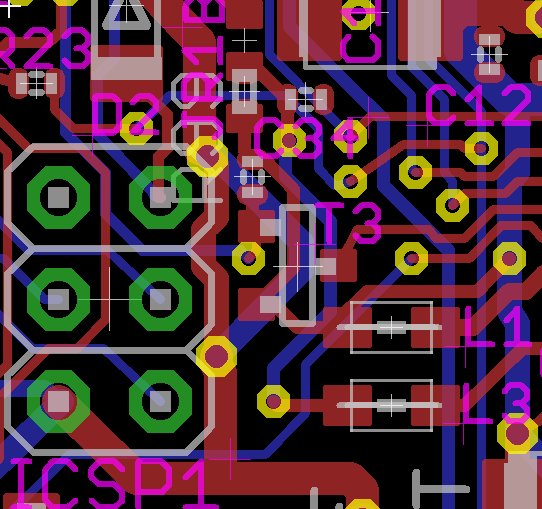 Because you never know..
New circuitry for the POWER_RELAY header. 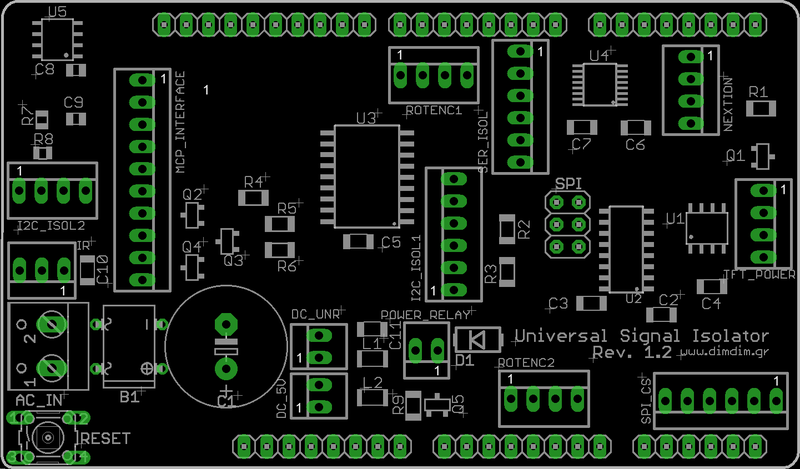 It now uses a MOSFET and it includes a diode for the reverse current coming back from the relay’s coil. Decoupling cap for the IR receiver. Not absolutely necessary, but good to have. More decoupling for the DC_UNR input. Ground planes. Lower Arduino noise, at least in theory. Soon I will update the shield’s page with the new info.